Johannesburg is a very large place in the region of Gauteng in South Africa with a population of approximately 2,026,469 people and is one of the largest places in South Africa. Find all facts and information about Johannesburg. 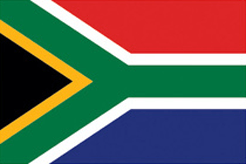 Johannesburg is located in the region of Gauteng and is also the regional capital of this region. Gauteng's capital Pretoria (Pretoria) is approximately 53 km / 33 mi away from Johannesburg (as the crow flies). The distance from Johannesburg to South Africa's capital Pretoria (Pretoria) is approximately 53 km / 33 mi (as the crow flies). Maybe also interesting: Distances from Johannesburg to the largest places in South Africa. Find your hotel in Johannesburg now. Book a hotel for your stay in Johannesburg.